It’s time to get creative if we want to address the inequity that divides the state’s two economies: Greater Boston, and nearly everywhere else. Does paying people to move to Western Massachusetts count? 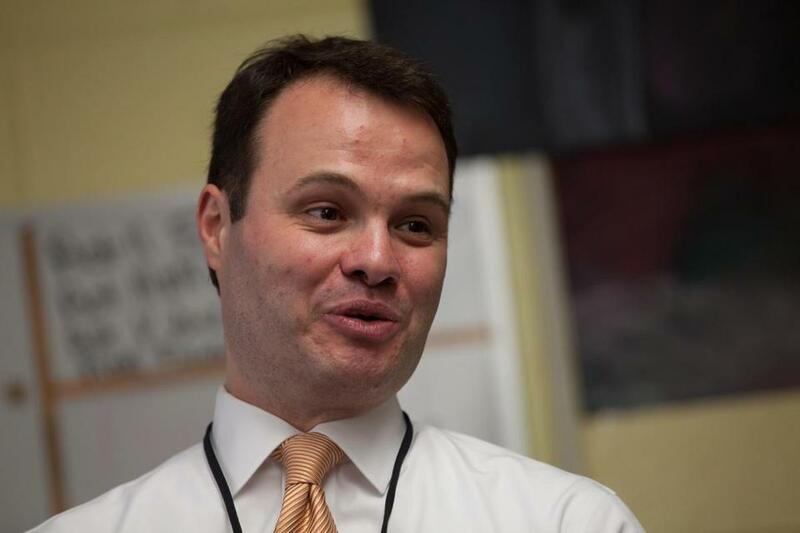 Senator Eric Lesser has filed a bill that would essentially do just that. He wants to reimburse people who move to the state’s four westernmost counties and work from their homes or coworking spaces. To be eligible for up to $10,000 for relocation and setup expenses, they would need to be employed by a business outside of the region. It’s modeled after a new Vermont program. Lesser’s would cap the spending at $1 million over three years. A test run. Like so many other bills at this early stage in the two-year legislative session, its fate is uncertain. But Lesser has been the Senate’s chief negotiator on economic development bills, so he carries significant clout with these issues on Beacon Hill. Lesser hails from Longmeadow, just south of Springfield. Residents in that region often fume about all the money and attention that’s lavished on Boston and its environs. Meanwhile, many employers and downtown areas in Western Mass. continue to struggle. This bill aligns with Lesser’s pet cause — spreading some of the wealth generated by the humming economic engine that is the Boston economy. He is leading the charge to get more frequent (and speedier) rail service between Boston and Springfield; state officials recently hired a consultant to study the feasibility. Several other bills he filed last week also address the state’s regional inequalities, including one that would offer tax breaks of up to $100,000 to smaller tech firms in older industrial cities. But the remote-worker incentive is aimed at people, not companies. Lesser singles out the state’s $125 million package for General Electric. That equals $156,000 in state funds per job — assuming GE eventually hires 800 people in Boston, as promised. By Lesser’s math, his approach is a far more efficient use of state money. Sometimes, the wealth does flow west: Last year, MassMutual won a record $46 million in tax credits, in part by promising to add up to 1,500 jobs in the insurer’s home city, Springfield. The other part? Hundreds of new jobs in — you guessed it — Boston. Lesser plans to pitch the bill as a potential relief valve for Greater Boston, a modest attempt to help ease this region’s traffic woes and high housing costs by spurring some workers to move out of the crowded area. Vermont’s program covers the entire state. Newcomers can get up to $10,000 over two years for relocating there; total spending is capped at $500,000 over three years, doled out on a first-come, first-serve basis. The program, which received widespread attention when lawmakers approved it last year, took effect Jan. 1. Joan Goldstein, Vermont’s economic development commissioner, says about 20 people have started the application process so far, many from other states in the Northeast. Just like companies, Goldstein says, individuals respond to incentives. Ten grand might not be enough to convince someone to uproot. But it might prove to be the tipping point for someone who was already considering a move. Plus, there’s the marketing potential: Maybe it gets more people to start thinking about Vermont as a future home. Still, these programs have their skeptics. Vermont State Auditor Doug Hoffer says he would prefer to see state economic development funds used for workforce training, to improve the labor pool. There will be no way to know whether these people would have moved to Vermont anyway. Good thing, he says, that this is such a modest outlay. The urban-rural divide isn’t playing out just in New England, of course. Across the country, remote communities struggle as talented workers increasingly flock to a select group of big cities — and as employers increasingly expand in those cities to chase the talent. It’s a tough dynamic to change. But Lesser argues that Massachusetts, at least, can’t function properly if the wealth remains concentrated in one place and everyone else feels left out of the party.